Microsoft’ll be bringing a new design for quality updates to the next major versions of Windows 10 and Windows Server, coming later this year, Maliha Qureshi writes. This design creates a compact update package for easier and faster deployment. Disable SMBv1 to prevent prevent Petya / NotPetya, WannaCry / WanaCrypt0r ransomware spreading through your network. These worm viruses exploit a vulnerability in Windows Server Message Block (SMB) version 1 (SMBv1), and spread like wildfire. It is urged you disable SMBv1 in your Windows variant (Windows 10, 8.1, Server 2016, 2012 R2), and here is how if you haven’t done so yet. Last weekend I had to update my girlfriends laptop from Windows 8.1 to Windows 10. Some might say, an easy task. Well, it wasn’t. After downloading the Windows 10 update through Windows Update, Windows Update returned errors 0xc1420127 and 0xc190010b, even using the Windows 10 media creation tool. And as always there are many reasons for these errors. In this short post, I’ll provide some possible solutions and tips. 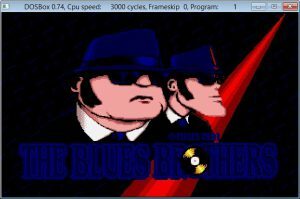 PC retrogaming how-to for 64-bit Windows – and Linux! We all love old games. Here is how to play old games on Windows 10 and Windows 8.1 using DOSBox. Classic games that are worth your time! This is personal rant towards #Acer, with an advice undertone: really, really investigate the computer or laptop you want to purchase, because you might get an unhappy surprise later, that the laptop doesn’t meet your expectations. Chocolatey: Is the Windows user ready for apt-get? Chocolatey: easier software installation for Windows. Scott Hanselman posted an article about Chocolatey. Chocolatey is a bootstrapper that uses PowerShell scripts and the NuGet packaging format to install apps for you.